Echipa AVmall incearca sa mentina acuratetea informatiilor din acesta prezentare. Cu toate acestea, in anumite cazuri, pot aparea mici inadvertente pentru a caror semnalare va suntem recunoscatori. Ne poti contacta oricand pentru a clarifica eventuale nelamuriri. Nu uita sa mentionezi in corespondenta ta numele exact al produsul. Fotografia produsului Videoproiector Pro AV Optoma EH515T are caracter informativ si poate sa difere de produsul real sau sa contina accesorii neincluse in pachetul standard al produsului. Specificatiile tehnice pot contine erori de operare si pot fi schimbate fara instiintare prealabila de catre producator, neconstituind obligativitate contractuala. 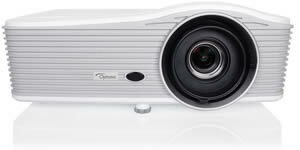 This large venue projector produces Full HD quality images for an uncompromising level of detail. Designed for professional installation environments, the EH515T boasts a brightness of 5,500 lumens and features multiple digital connection options, with two HDMI inputs, DisplayPort and HDBaseT™. For more complex installations, this projector is equipped with a large zoom range, lens shift and a built-in geometric adjustment feature - ideal for image stacking, uneven walls or where a projector placement is awkward and needs to be installed at an angle. Full HD (1920 x 1080) has more than twice the resolution of HD Ready (1280 x 720). EH515T is compatible with HDTV broadcasts and high-definition media to project impressive full 1080p images and video in their original digital brilliance. 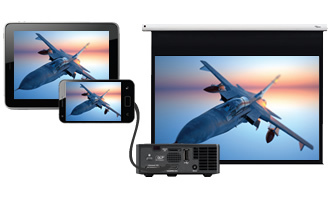 Optoma projector′s come with an extensive set of RS232 commands making it simple and easy to manage using any control system. Nu sunt recenzii pentru Videoproiector Pro AV Optoma EH515T. Fii primul care scrie una!